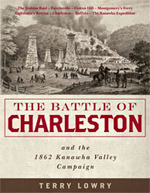 A new, modern reprint of the classic regimental, “History of the 12th West Virginia Volunteeer Infantry” has been published by 35th Star Publishing of Charleston. The history was originally published in 1892 by the veterans of that Civil War unit. The new version contains the original text, as well as an index, a complete regimental roster, and a list of the unit’s Medal of Honor recipients. Also included is an additional manuscript titled “The Story of Andersonville and Florence,” by James N. Miller, a member of the regiment. 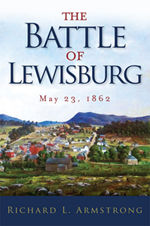 The book covers all of the battles and campaigns in which the unit participated, including Winchester, New Market, Piedmont, Snicker’s Ferry, Kernstown, Berryville, Opequon, Fisher’s Hill, Tom’s Brook, Cedar Creek and their dramatic attack on Fort Gregg at Petersburg. Purchase online at The West Virginia Book Company.